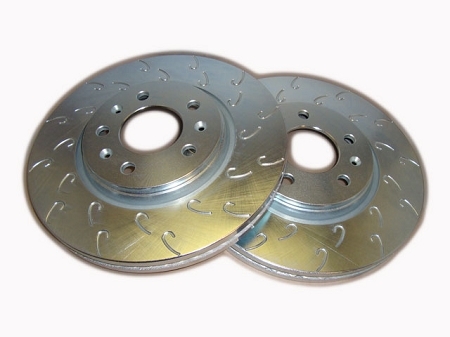 Zinc plated performance Rotors. The zinc plating helps protect the hats and discs from corrosion in unswept areas. The new Hook slot face pattern is now available for Solstice and Sky Rotors. Developed in professional motorsports, the Hook slot provides the initial pad bite of cross-drilled rotor, while dramatically reducing concerns over premature cracking at elevated temperatures. 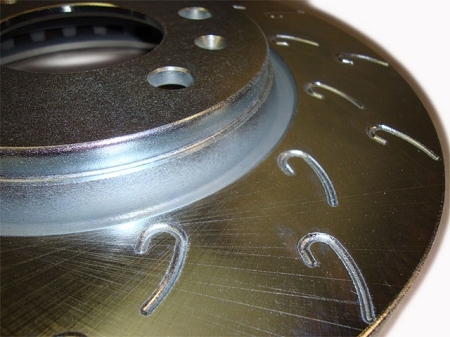 The Hook slot design offers some advantages over other grooved or slotted rotors; greater initial bite, superior pad cleaning, faster pad release and reduced thickness variation. 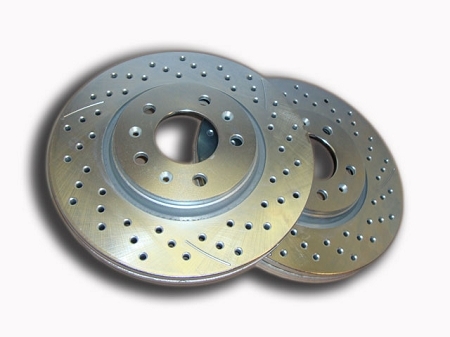 The advantages that this design provides are faster reaction of the pads, less susceptible to pad glazing, and reduced brake pad build up. Rotors are slightly larger than stock. No known fitment issues. 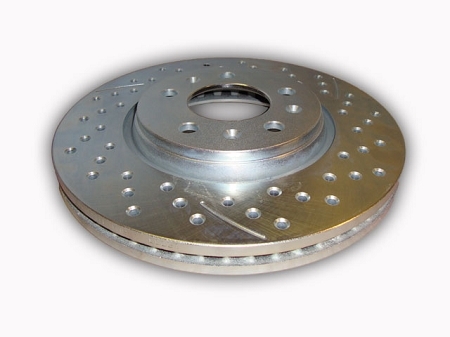 Which rotors do you need? Price includes 2 front and 2 rear rotors.